Yesterday I attended the Big Draw’s award ceremony at two temple place in London. It was an afternoon of celebrating the innovative and inspiring activities that made last October’s big draw events so successful. I felt very privileged to be collecting a ‘highly commended’ award for the Big Draw event I’d organised with Natalie from Bexhill’s De La Warr Pavilion. 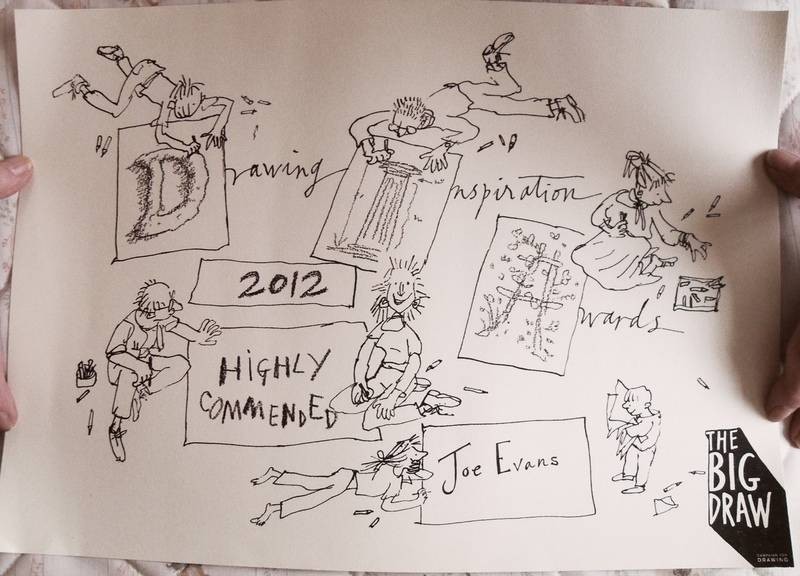 And I was pretty pleased to get my hands on a certificate designed by Big Draw patron, Quentin Blake (see image below). I’ve continued my own drawing project, a daily doodle, and have included February’s efforts here. This entry was posted in Education, Illustration and tagged De La Warr Pavilion, Doodles, Joe Evans, Quentin Blake, The Big Draw. Bookmark the permalink.